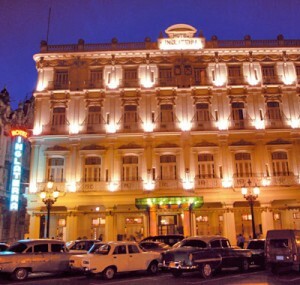 Melia Cohiba is an elegant property stands within the El Vedado district in central Havana. 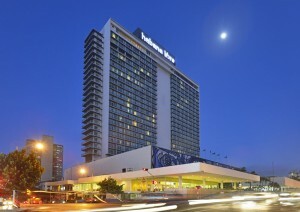 With 462 magnificent rooms, 22-story building offers spectacular views of the ocean, downtown and the Malecon in Havana. Ideal for holidays or business trips, Meliá Cohiba offers a dozen excellent eating facilities and modern amenities. Enjoy the ultimate in Havana Melia Cohiba! The Hotel Nacional de Cuba has a prime location in the heart of Vedado, the most central area of ​​Havana, on a hill just a few meters from the sea. Its unique views provide a beautiful and varied landscape of the city, among which you can admire the Havana Bay with its classic boardwalk and ancestral Morro fortress. The Havana Riviera Hotel, considered among the best luxury establishments in Cuba, welcomes guests under the typical influence of the romantic atmosphere of the 50s. It is 20 kilometers from the beach of Santa Maria del Mar, the so-called Blue-circuit and 15 kilometers from Havana International Airport, is also an excellent place for events and celebrations of all tipo.El center benefits from a inside the gates of the Malecón Habanero, the avenue that runs sea to the very entrance of Havana Bay, site converted into recreational, scenic and ideal for romantic location. 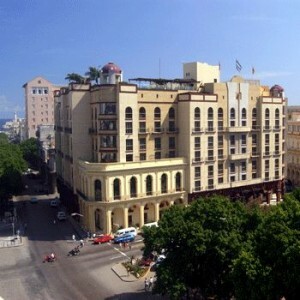 The Habana Libre Hotel, 4-star, situated 23 and L, Vedado, is one of the biggest hotels in Cuba and one of the most emblematic of Havana. The same is a gem from the urban point of view in this modern city. 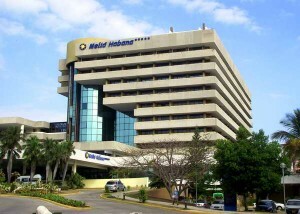 Meliá Habana is a beautiful hotel with modern decor and custom luxury amenities, modern, elegant and comfortable in front of the Miramar Trade Center and along the Havana coastline, is a conventional urban 5-star hotel, covering 10,000 m², has 9 floors and is surrounded by other hotels. 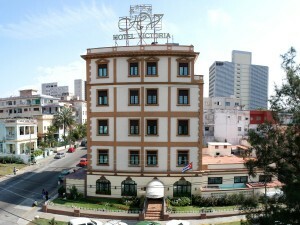 The Victoria Hotel, in the heart of the residential area of ​​El Vedado, is 15 kilometers from the capital’s international airport, in full official neighborhood centers and tourist sites. Built in 1928, was initially recognized by the name of Hotel Vedado, later assumed its current name and become an ideal place for businessmen and dedicated to the break in the heart of Havana. Hotel facilities include the ability to support the organization of meetings and conferences, including a work from logistical support to the functions of public relations, word processing and printing documents. This hotel is spread over 8 floors, in which a total of 278 rooms, including 23 suites. This hotel has a lobby with a reception (open 24 hours), a safe, a currency exchange, a cloakroom and a lift. 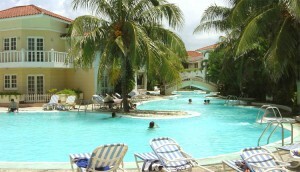 The hotel also has a travel agency, tours, car rentals and shops. Prepared for rest of your well-deserved vacation, hotel rooms have air conditioning, telephone, satellite TV, minibar and for your convenience, a private bathroom with hairdryer. During summer, you can take a dip in one of the two pools. You can also play tennis or learn to dive in the diving school. The hotel also features a café with Internet 24 hours, a restaurant, a pizzeria and a lobby bar to take a drink in the evenings. 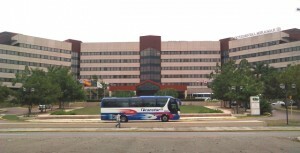 Localizado en la barríada de Miramar, una moderna zona de la ciudad donde están establecidas las principales embajadas, Centros Comerciales, el Miramar Trade Center (mayor centro de negocios de la ciudad), tranquilo, distinguido, y amable resort, especializado en los segmentos de los hombres de negocios, y las familias quienes han sido sus principales clientes por años. 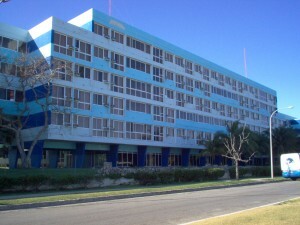 Hotel Chateau Miramar Cuba, La Habana, El hotel se encuentra ubicado en la zona residencial de Miramar, a escasos metros del mar y a solo 10 minutos del centro de la ciudad. 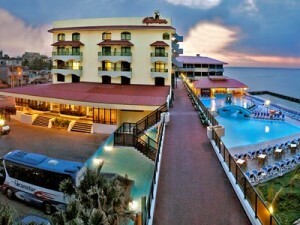 Occidental Miramar has a total of 427 rooms with all facilities for guest comfort. It has 2 bars and 3 restaurants serving international and Caribbean cuisine. There are three meeting rooms with capacity for 300 people. It offers the following tourist entertainment activities; Club for children 0-3 years, Club for children 3 to 6 years; Mall; boutique, games room, jacuzzi, swimming pool, squash court, 6 tennis courts, 2 of them lighted, volleyball, gym, massage, solarium, sauna, beauty salon, art gallery. 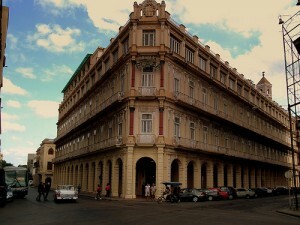 The Florida is located in Obispo Street, just halfway between the Main Square and Central Park, making it the ideal base for exploring Old Havana. The rooms, designed to recreate the colonial era, have a certain austere simplicity that contrasts with the public spaces of the hotel. All are pleasantly spacious and well equipped. Hotel Inglaterra **** Founded on December 23, 1875, it declared a National Monument in 1981, hotel is located in the center of town, across from Central Park, next to the Grand Theater of Havana-home of the National Ballet of Cuba, and steps Stunning Capitol of the Republic. The neoclassical magnificence of its facade in keeping with the strong Mudejar accent of its interior decorations, give a unique elegance. 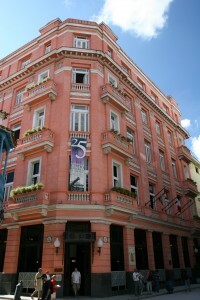 It has hosted over the years, many celebrities, including Antonio Maceo, Julian Casals, José Raúl Capablanca, Sarah Bernhardt, Anna Pavlova, Rubén Darío, among others. Today is considered the home of the most prominent artists. 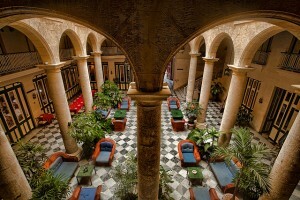 The Ambos Mundos, famous for being the hotel where the American writer Ernest Hemingway to write one of his novels, enjoys one of the most privileged locations in Old Havana, as it is very close to the main centers of activity city. 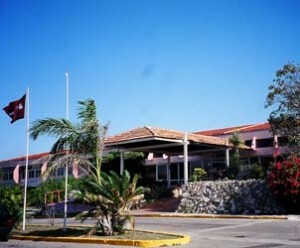 El Hotel Cubanacan Club Arenal de 3 estrellas, se ubica entre las aguas de la laguna Itabo y de la bella playa de Santa María del Mar, en las afueras de La Ciudad de La Habana. La elegante instalación, se erige en una especie de cayuelo poblado de abundante y hermosa hermosa vegetación de mangle rojo y uva caleta y rodeado de aguas mansas en tierra firme. Surrounded by coconut palms and tropical trees, it is a good base to enjoy the pleasures of the sea, doing outdoor sports and put aside the usual concerns. 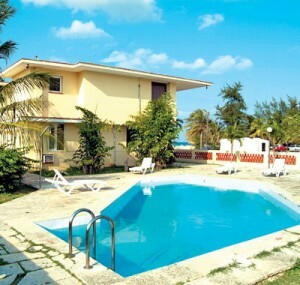 This hotel is Family friendly and with,nice hospitality, comfortable and well located near the sea, which is a standing invitation to enjoy. Hotel Tropicoco**se encuentra ubicado en las hermosas e impresionantes Playas del Este en Santa Maria del Mar, solo a 20 km del Centro de la Habana y a 40 km del Aeropuerto Internacional. 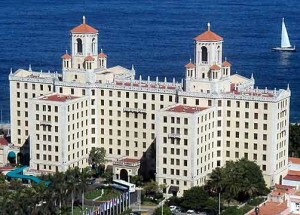 El Hotel Islazul Mirador del Mar esta ubicado al Este de la Ciudad de La Habana, en las lomas de la playa Santa Maria del Mar. Ofrece a sus huéspedes 78 habitaciones climatizadas distribuidas en casas de una y hasta 6 habitaciones y 3 pequeños hoteles de 7, 10 y 12 habitaciones independientes.